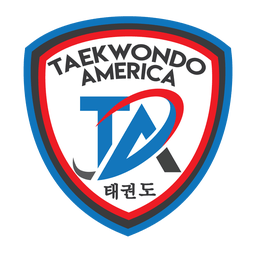 The name Taekwondo comes from the Korean word “Tae” meaning foot, “Kwon” meaning fist or hand and “Do” meaning path or way of. So Taekwondo means “the way of the foot and hand”. The name Taekwondo, has only been used since 1955 even though this form of martial arts began over 2,000 years ago in Korea. During the Japanese occupation of Korea (1910-1945) and then the Korean war, the practice of martial arts by Koreans was forbidden. Small groups continued to study and teach the art in secret. Taekwondo was introduced to the United in the 1950’s. By this time the word “Karate” had become a generic term for the martial arts. In 1980, Taekwondo was staged at the Olympics in Seoul in 1988 and in Barcelona in 1992 as demonstration sport and was adopted as an official program of Sydney 2000 Olympics. Now Taekwondo is one of the most popular martial arts in the world.